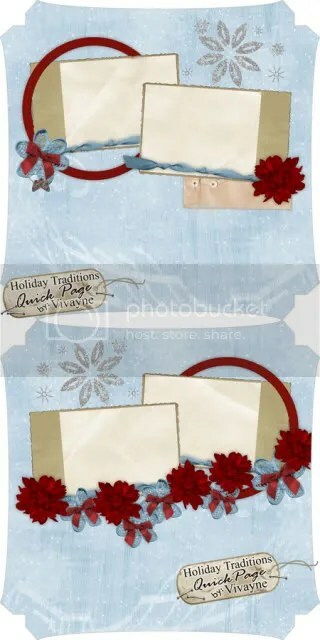 Here is another Digital Freebie, 2 Quick Pages made with DigitalArts-Cafe’s Holiday Traditions colaboration kit. I hope you can use them in your scrapbooks. Also, While you’re here, I’d love to have your input ***TAKE A POLL*** on my home page! < Don’t Forget to Record your Holiday! I love these pages. The backgrounds are very pretty with the snowflakes. Good job! They are very nice. Thank you so much:). Thanks for the lovely quickpages. love the design! Thanks so much!! Many thanks for these QP’s!! !